Establised in 1991 The Advertising Gift Works Ltd is a family run specialist distributor of promotional products, branded merchandise, bespoke and personalised gifts. We pride ourselves on offering a helpful, friendly and impartial service assisting you in finding the very best products to meet your requirements. Combining our in-house art studio and extensive industry knowledge we can assist with sourcing products, designing artwork and provide free visual illustrations of how your chosen product will look. Whether you are looking to promote your company at an event, reach out to new customers or reward the ones you have, promotional products work because they leave a lasting impression in the hearts, minds and hands of recipients. Your messages lives on because the products are memorable, unique and personal. Promotional products are the only marketing medium that gives people a tangible memory of their relationship with your brand. 2016 brings with it a fresh start and a chance to re-invent. 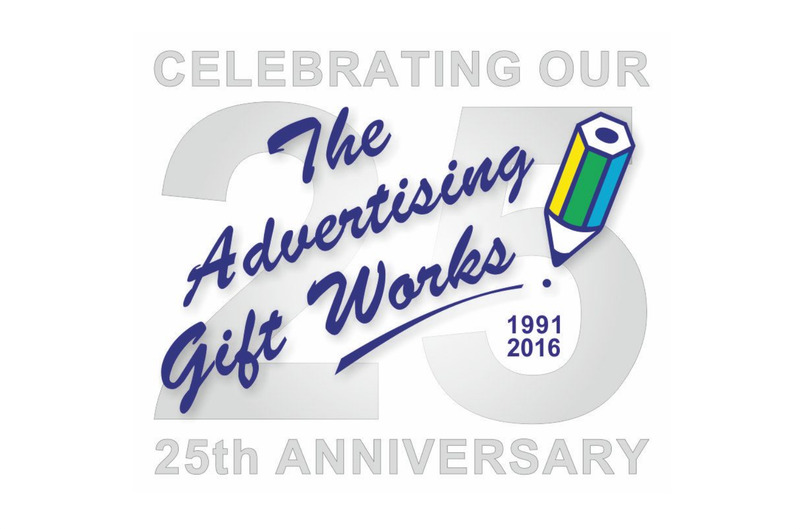 This year The Advertising Gift Works celebrates it's 25th year in the promotional products industry. That's 25 years of providing the very best products and merchandise, 25 years of supporting new ventures, grand openings, re-brands, old brands, new brands, companies big and small and events far and wide and it is our pleasure to work with such a diverse range of clients. Some things will change, we might change our website or our logo even gain some new faces but, one thing that will not change, is our passion and drive to provide a friendly, helpful service built from experience and trust, providing the very best for all our clients. So whatever your requirements, please do not hesitate to contact us on 02380 693777 or drop us a line at - sales@giftworks.co.uk as we would be delighted to assist with your next promotional project.